Designed with premium genuine leather, including slots to hold 6 cards and cash - this portable MFi charging wallet can comfortably fit inside your pocket while featuring a built-in 1800mAh power bank - so you can charge your iPhone on the move. Do you know anyone who constantly runs out of battery? 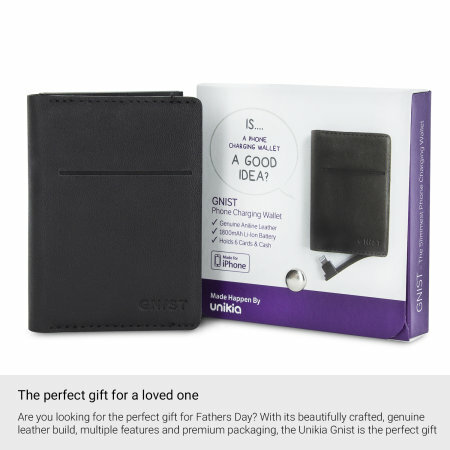 Are you looking for the perfect gift for Fathers Day? 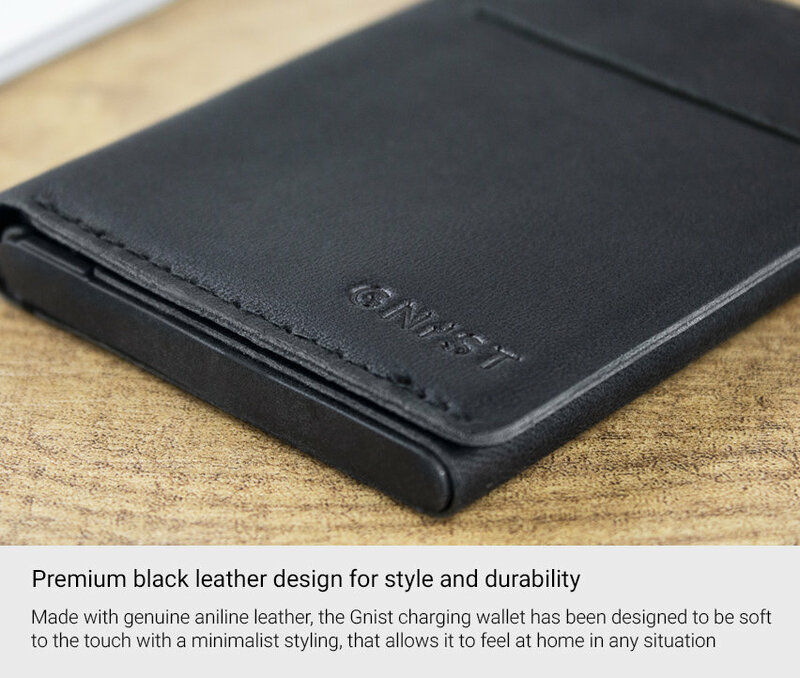 With its beautifully crafted, genuine leather build, multiple features and premium packaging, the Unikia Gnist is the perfect gift. 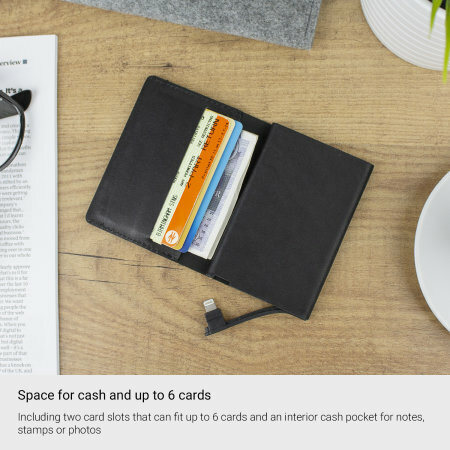 Slightly larger than a credit card but smaller than the average wallet, the Unikia Gnist charging wallet has been designed to be portable, so you can carry it with you at all times while keeping your phone charged throughout the day. 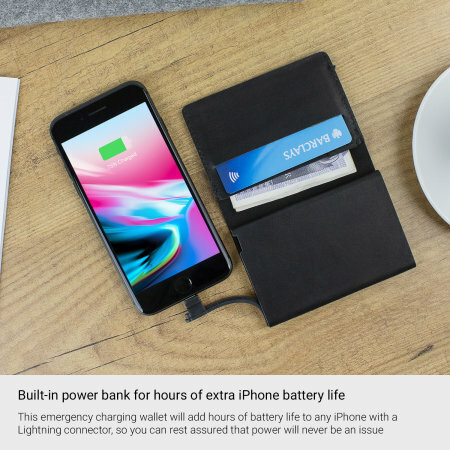 Conventional power banks are generally too big for most pockets and you never have them with you when you need them the most. 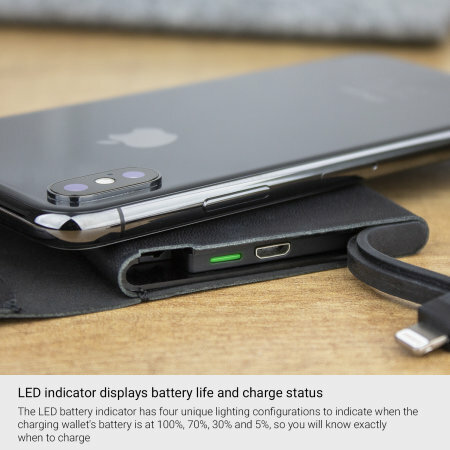 The Unikia Gnist is therefore a must have accessory for emergency charging, to ensure that your iPhone has power no matter what situation you find yourself in. 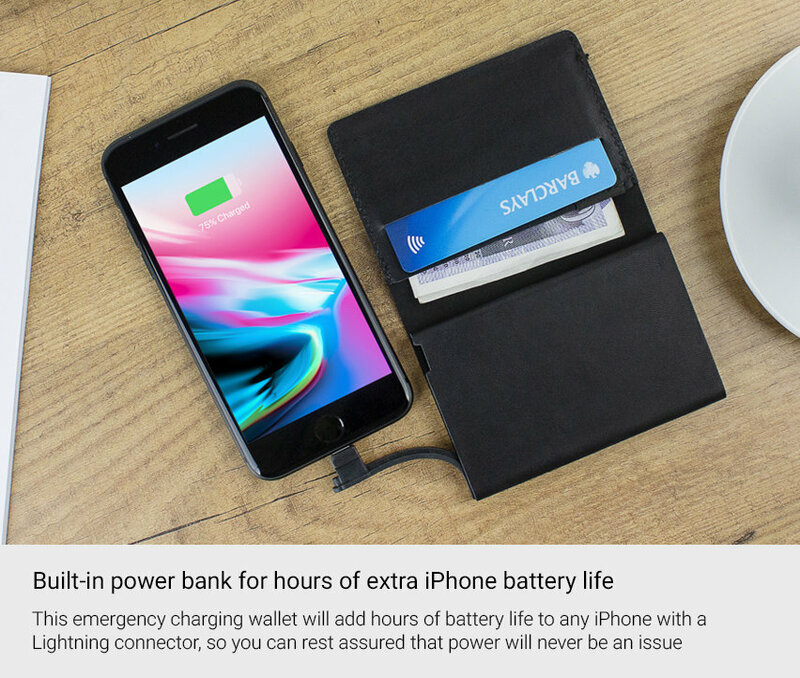 This emergency charging wallet will add hours of battery life to any iPhone with a Lightning connector, so you can rest assured that power will never be an issue while you are out and about. 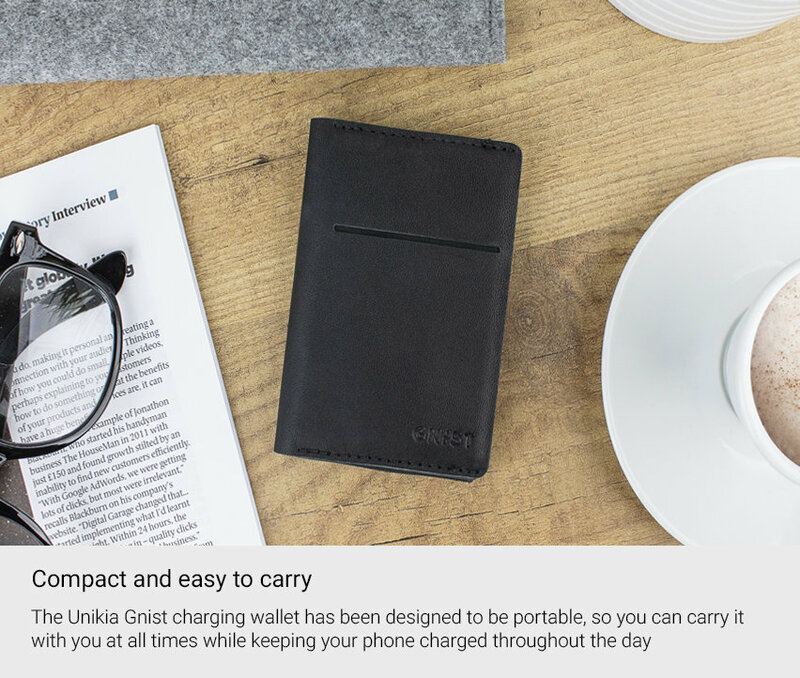 Packing an impressive 1800mAh battery into its compact casing, the Unikia Gnist finds the perfect balance between a battery capacity that will give your iPhone the appropriate boost, while staying compact enough to fit in most pockets. 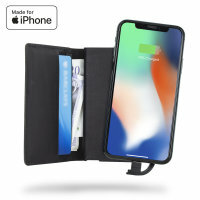 This unique charging wallet could, for example, boost the charge of your iPhone by 50% with average use, giving many hours of extra battery. 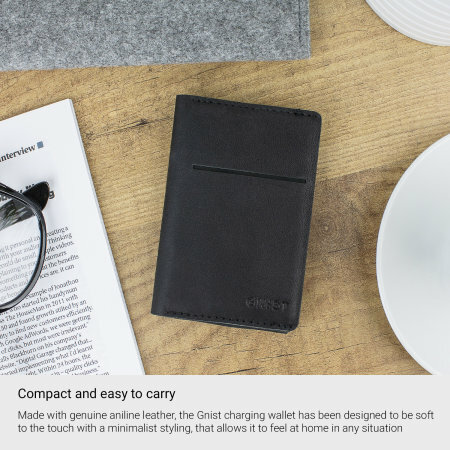 Made with genuine aniline leather, the Gnist charging wallet has been designed to be soft to the touch with a minimalist styling, that allows it to feel at home in any situation, whether you are attending a business meeting or going on a night out with friends. The leather finish and precision stitching not only look great, but also ensure that the Gnist is built to last. 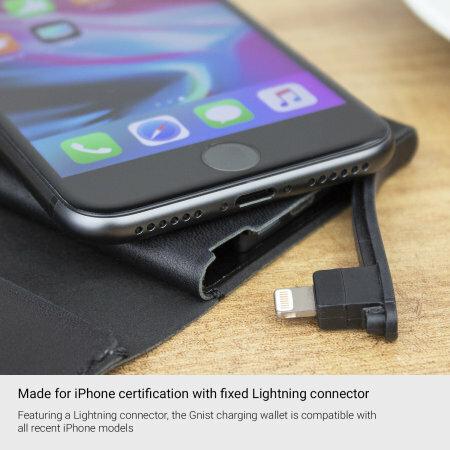 Please Note: It is important to follow the included manufacturer instructions when caring for the leather featured with this product to ensure maximal durability. 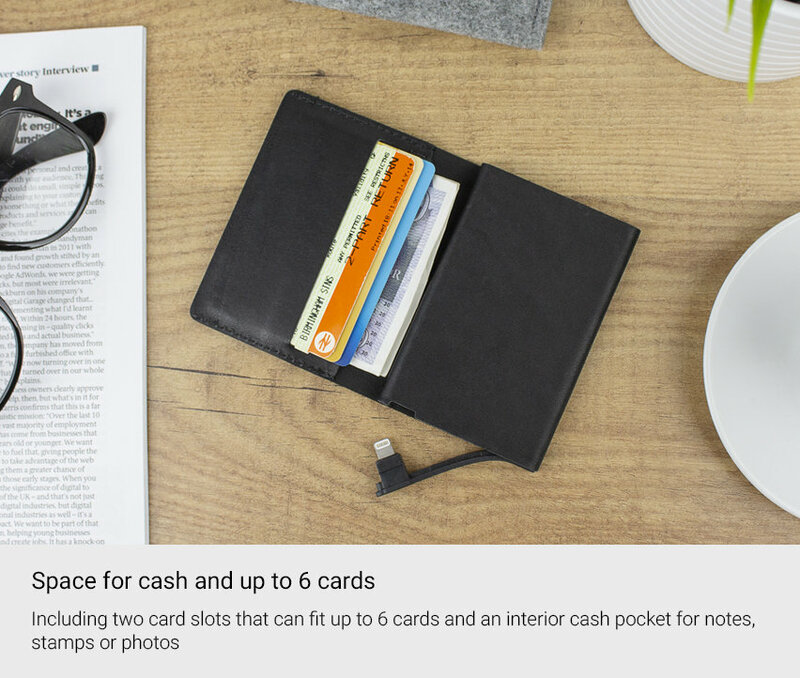 Including two card slots that can fit up to 6 cards and an interior cash pocket for notes, stamps or photos, the Gnist charging wallet is multi-functional and can easily replace your current wallet. 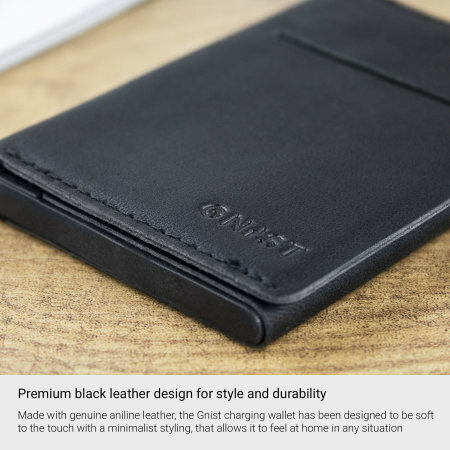 The Unikia Gnist charging wallet has 'Made for iPhone' certification, so you can be assured that this premium wallet has been developed and rigorously tested with the Apple iPhone in mind. 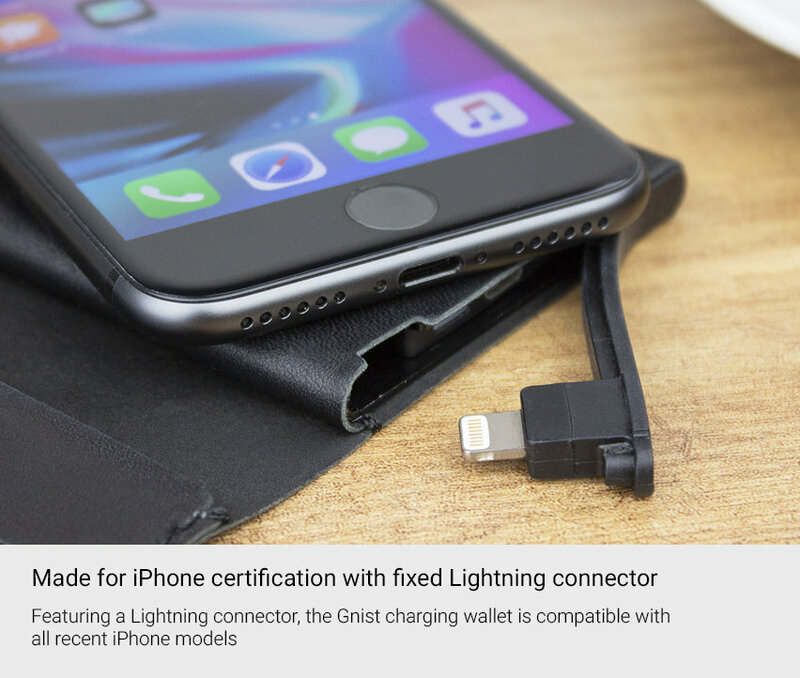 Featuring a Lightning connector, the Gnist charging wallet is compatible with all recent iPhone models (iPhone 5 or later). 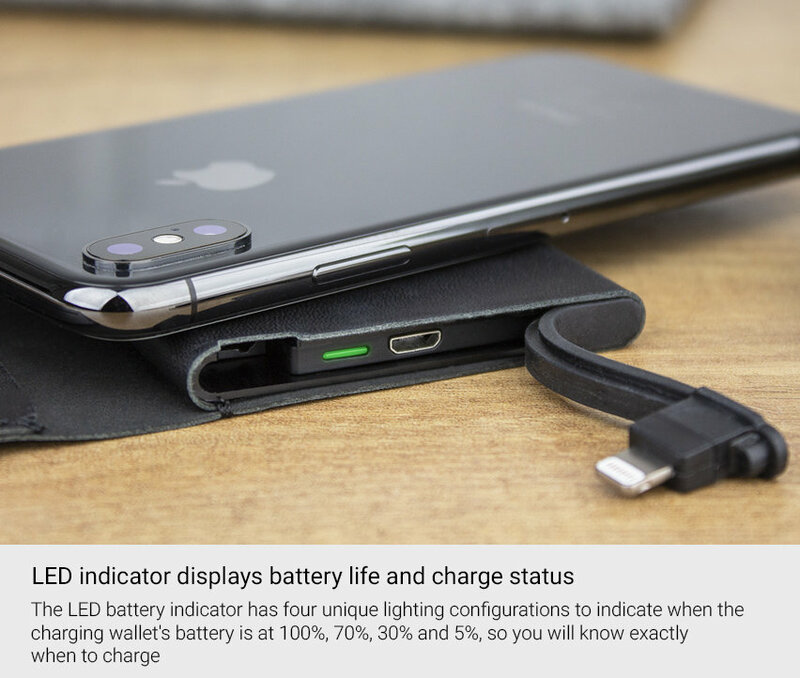 The LED battery indicator has four unique lighting configurations to indicate when the charging wallet's battery is at 100%, 70%, 30% and 5%, so you will know exactly when to charge the wallet and how much juice you have to charge an iPhone with.